All the information and material contained in this web site is subject to copyright which is owned by Economic Development Winnipeg Inc. and its division Tourism Winnipeg. Users of this site may download information for their own reference, but no part of this site may be copied, reproduced, adapted or transmitted in any form by any process for any commercial purpose without the prior written consent of Tourism Winnipeg. 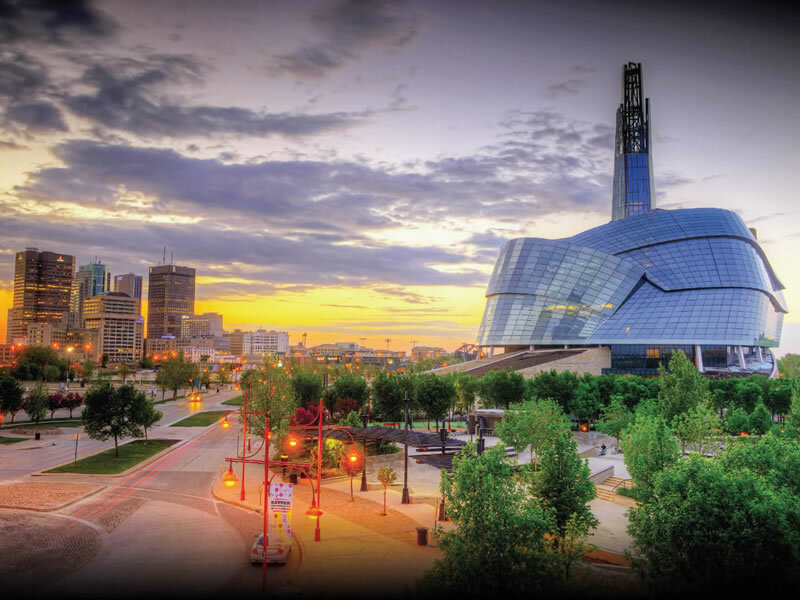 This site has been established by Tourism Winnipeg for information purposes only to provide its customers information about Winnipeg, and the venues, facilities and services Tourism Winnipeg and Tourism Winnipeg Affiliates can provide. The information is intended for general use only and nothing on this site constitutes an offer to enter into a legally binding contract. Tourism Winnipeg engages third party information management service providers to help maintain efficient operations and improve delivery to the user. Because such information management service providers may access our systems, such information management service providers may have access to your information. Tourism Winnipeg reserves the right to share general demographic information for reporting purposes; however, profiles of individual users are not shared, unless users expressly request information from our members or request information from our site. When you supply information about yourself for a specific purpose, we use the information for only that purpose (such as to provide the service or information you have requested). For example, you may be asked to give us individual information to receive information. We may store your personal information and comments for future use and reference in order to maintain an appropriate record of our relationship with you. If there are legal requirements relating to the period of time which we must retain your personal information, we will comply with those requirements. Tourism Winnipeg may share any of your personal information with Tourism Winnipeg Affiliates or external suppliers, but only to fulfill the purposes of use as described above. Tourism Winnipeg will not sell or provide your personal information to any other party, unless you provide us with explicit permission to do so or unless we are compelled by law or in the good-faith belief that such action is necessary to conform to law or to legal process served on Tourism Winnipeg. By filling out the subscription form the reader (you) agree to receive via email and/or other electronic forms of communication a Newsletter from Tourism Winnipeg that entails updates, articles, pictures, surveys, links to blogs, social networks and photo galleries periodically. The subscriber to the Newsletter may view, reproduce or store copies of articles comprising the journal on condition the articles are used only for their personal, non-commercial use. Specific written consent must be given by Tourism Winnipeg prior to any commercial use. Users participating in any Tourism Winnipeg contests may be required to submit varying degrees of personal information, depending upon the nature of the particular contest. The specific information to be collected and how it will be used will be disclosed in the general contest rules and regulations and/or in the referring contest page or newsletter. The names, addresses and photograph or likeness of contest winners may be reproduced on the site or in other advertising materials. From time to time, Tourism Winnipeg may conduct online surveys for internal purposes or for third parties, to gather general information about users and/or their views. Participation in these surveys is voluntary; no information will be collected except that which is knowingly supplied by the user. Identifying Personal Information will not be shared. These privacy policies refer to areas and services offered by Tourism Winnipeg at the domain (web address) www.tourismwinnipeg.com. Tourism Winnipeg linked sites may post their own privacy policies. Users are encouraged to take the time to familiarize themselves with the privacy policies of websites outside the Tourism Winnipeg site. The information posted on www.tourismwinnipeg.com includes hypertext links or pointers to information created and maintained by other public and/or private organizations. This site provides these links and pointers solely for our users' information and convenience. When users select a link to an outside website, they are leaving www.tourismwinnipeg.com and are subject to the privacy and security policies of the owners/sponsors of the outside website. 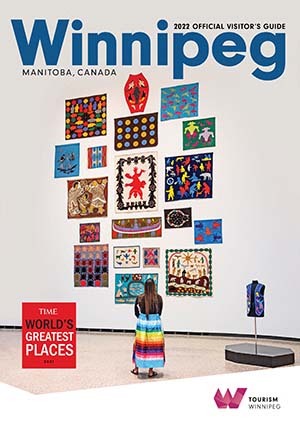 Tourism Winnipeg, which manages tourismwinnipeg.com, does not control or guarantee the accuracy, relevance, timeliness or completeness of information contained on a linked website. Tourism Winnipeg does not endorse the organizations sponsoring linked websites and we do not endorse the views they express or the products/services they offer. Tourism Winnipeg cannot authorize the use of copyrighted materials contained in linked websites. Users must request such authorization from the sponsor of the linked website. Tourism Winnipeg is not responsible for transmissions users receive from linked websites. Tourism Winnipeg is not responsible for or liable in any way for commercial transactions which users transact with linked websites.